Don’t stress, there are no bug changes in WIN’s homeland. The original large version creeps back in from time to time. I feel awkward over the entire “WIN Bold” and “WIN Peach” thing. See look, when 9Go and 9Gem got rebranded WIN bothered with using the “Nine” part of the names, and 9Life had “LIFE” as a LCN name but WIN used the Nine part oftenly. WIN One and WIN Eleven were decent (falling through Bruce’s addict for obscure late 80s shows), but the 2018 names make me EWWWWWWW! The “10” part is still used in promos (LITERALLY), and 10-branded main channel promos would occcansitaly slip in. I recall one in 2016 when a Ten-branded promo for Brock predicted a WIN one! The 2 minute main channel promos also suffer from this. WIN branding on main, 10 branding on Bold and Peach. I recall during late 2016 where that “There’s No Business Like Show Business” promo played with 10 branding on WIN One! The Project promo is a better case, but the 10 version still slips through. Should’ve WIN took a 9Life route instead and kept the 10 trademark? I live in Canberra and refer to WIN as Ten and Prime as Seven. Probably could be because I lived most of my life in Sydney. 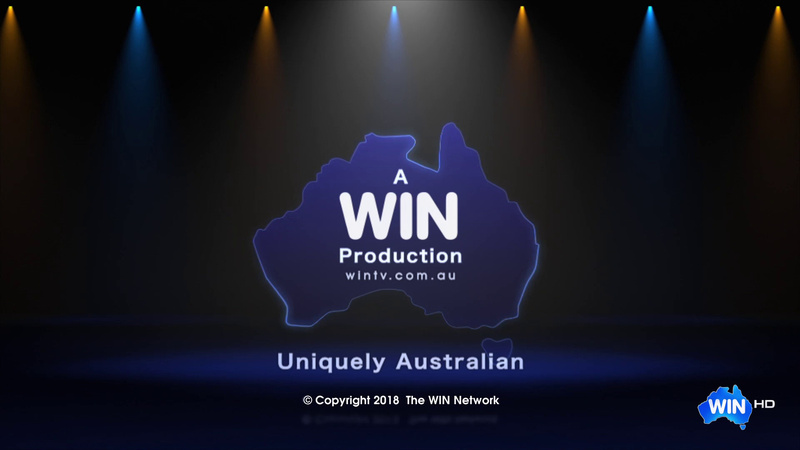 I don’t have a problem with the WIN (and Prime) branding … it’s just the solid WIN watermarks on their channels that are annoying. It’s a mess not only because of the solid logos (which are awful), but also because WIN haven’t gone all-out, used a clean feed and inserted their own promos on the secondary channels. It isn’t really surprising given the costs involved with each extra channel (and that’s why 9Life, the last one added during their Nine affiliation, didn’t get the rebranding treatment), but I’m still surprised it’s so hard to play their own promos since (presumably) they already play their own commercials. I have to guess that once Bruce finally departs - combined with the continuing pressure to cut costs - WIN will eventually follow SCA & Prime in adopting their affilitate network’s branding (which can’t happen soon enough in my opinion). Well to be fair the receptionist wouldn’t be able to shed much light and they were probably wondering why you were asking/suggesting such things. Frankly I’m shocked that WIN management didn’t immediately suspend all other projects and activities and get right on the issues raised by crazy nerd person who rang reception! What is TV coming to? WIN hardly rebranded 9Gem and 9Go! anyway. 9Life was no different. They kind of gave up their efforts between Nov 2015 and the end of their 6 month affiliation deal in mid 2016. Didn’t even have a mappy watermark once WIN HD launched. I hope they passed the information on to the right person. Yes, a joint venture with Village, a hold over from the the ENT days I believe. I think Village took full ownership a few years ago. Should be noted that they weren’t the only TV station that owned cinemas - TVW-7 owned Cinema City, and NBN owned the Royal in Newcastle (the one that’s now a Hillsong for the happy clappers). And of course, a lot of cinema operators were also shareholders in TV stations in both metro and regional areas too. What will happen to Win when Bruce passes away? Either Andrew runs things, or he sells it. Not a two part question when you think about it. In theory Andrew Gordon runs WIN now as he is the executive chairman. But Bruce Gordon as the owner would obviously be directing the son. Just saw a friend’s Facebook post saying he is excited to be joining “Nine/WIN, Stan, and Go channels” in a senior role. How he managed to get passed the interview stage is beyond me. Someone tell tell WIN that they’re shouldn’t be a watermark during Studio 10!